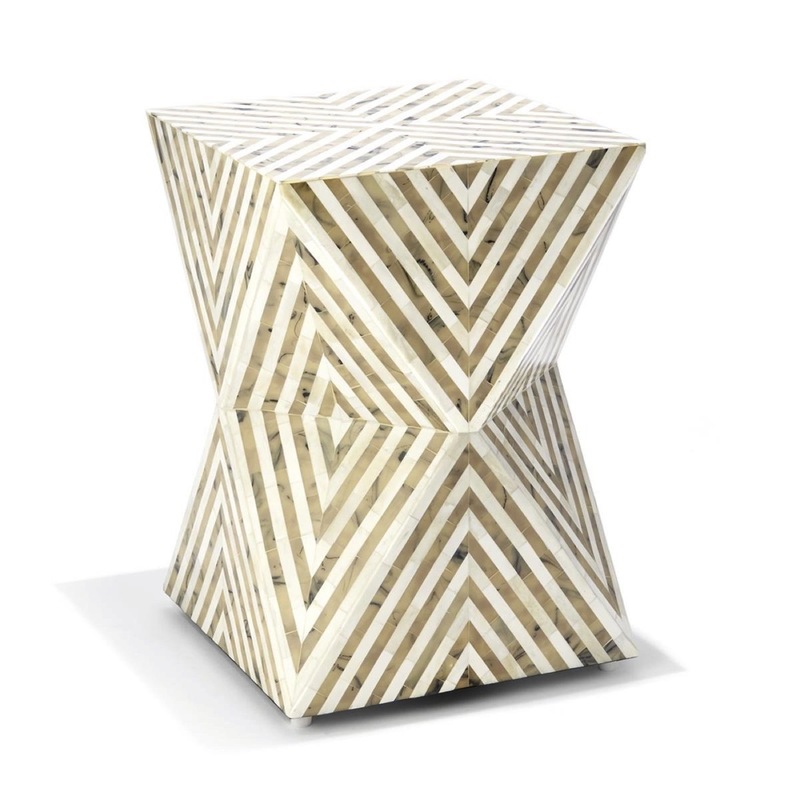 This stool boasts an intricate striped bone inlay pattern that exquisitely showcases its striking geometric silhouette. 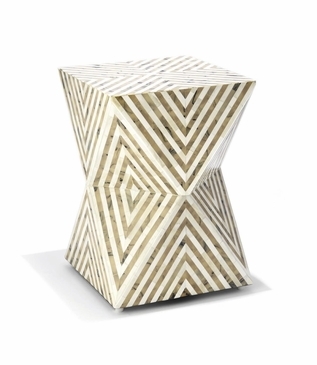 Handcrafted of bone and resin in taupe and white colors, this piece can be used as impromptu seating or a small side table. Size: H: 17.25" • W: 14" • D: 14"